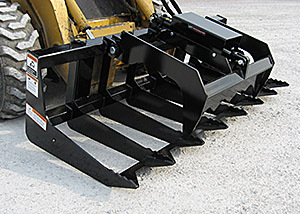 These tough, reliable and economical grapples offer models with skid steer style hook-up, John Deere 400/500 hook-up as well as a model for Euro/Global hook-up. 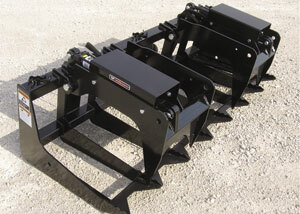 Select models offer dual upper clamps for additional clamping. 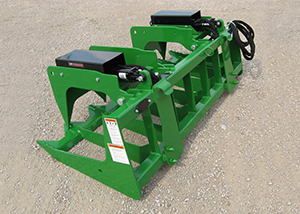 These grapples are ideal for raking, piling, and loading brush and other hard to handle materials while leaving the dirt behind.